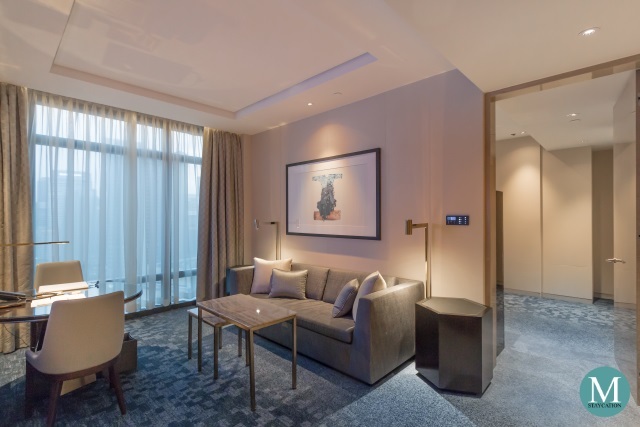 The Park View Junior Suite is the lead-in suite category of Four Seasons Hotel Kuala Lumpur. 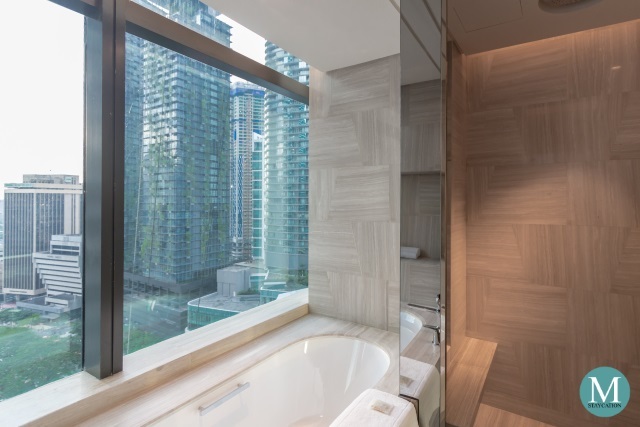 Measuring 74 square meters (797 square feet), the junior suite features a separate bedroom, a separate living area, and a full marble bathroom. 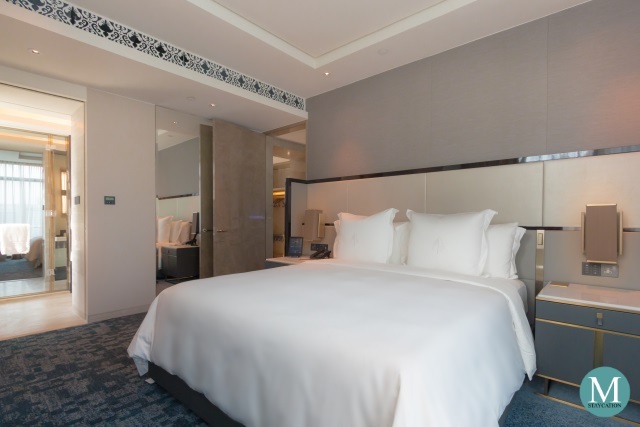 Guests staying in a junior suite enjoy a view of the KLCC Park and fountain. The living area is furnished with a sofa with two hexagonal side tables and a two-piece nesting table at the center. There is also a round table that can function either as a writing table or as a dining table. The living area can comfortably seat up to two persons, perfect for business travelers traveling solo or with a spouse. Staycationistas will definitely enjoy the 55-inch Full HD Smart TV at the living area. It has local and international cable channels and guests can also connect their devices to the Smart TV via WiFi should they wish to watch videos on a bigger screen. 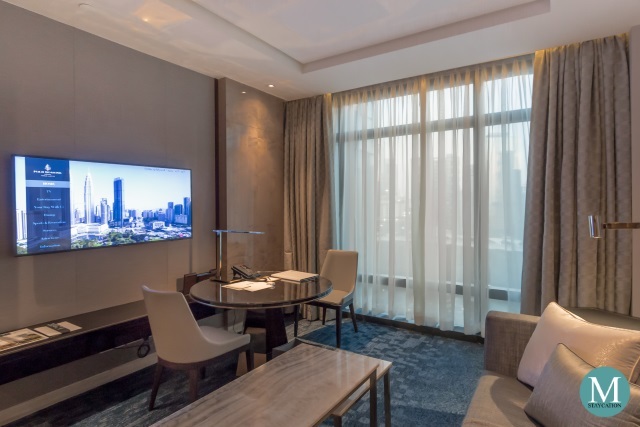 With complimentary wifi available inside the suite, guests are all set for a Netflix movie marathon during their stay. The living room also features a refrigerated private bar fully-stocked with canned soda and bottled fruit juices. There are also small bottles of wines and spirits available inside the private bar. 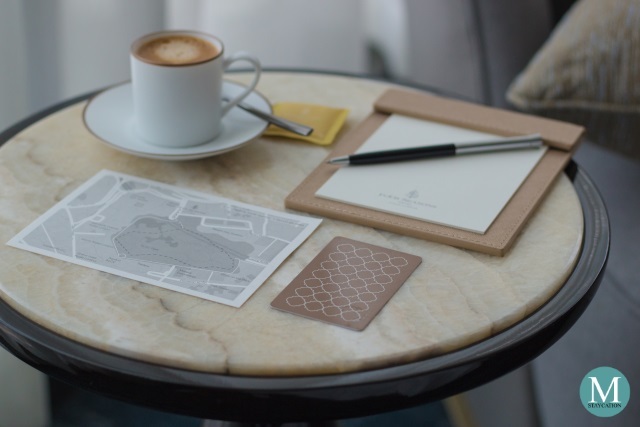 Coffee lovers will definitely enjoy their stay in the junior suite because they can create a fresh cup of espresso or americano with the en-suite Nespresso machine. 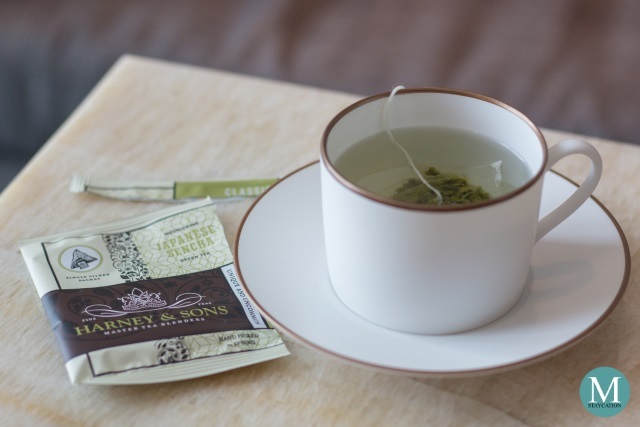 A variety of Harney & Sons tea bags are also provided inside the private bar. Guests can use the electronic kettle to boil water for tea. Tea cups and mugs are replaced twice daily during the housekeeping service. If you have a specific preference, you can just call housekeeping and have the tea bags replaced with your preferred flavor. The bedroom is located in one of the corners of the tower. With floor-to-ceiling glass windows lining either sides of the corner, the bedroom enjoys plenty of natural light during day time. 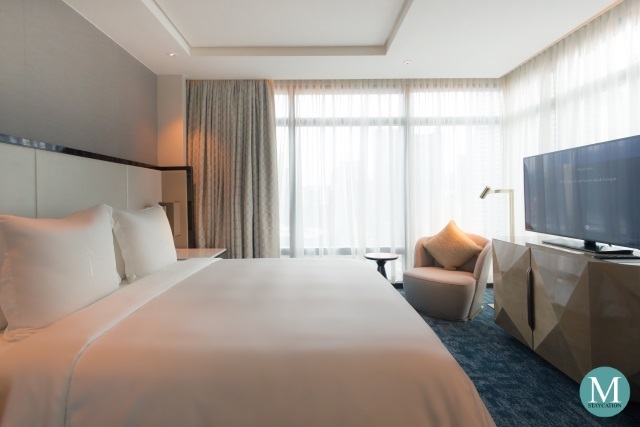 Opening the curtains will reveal the spectacular view of the KLCC Park and fountain. 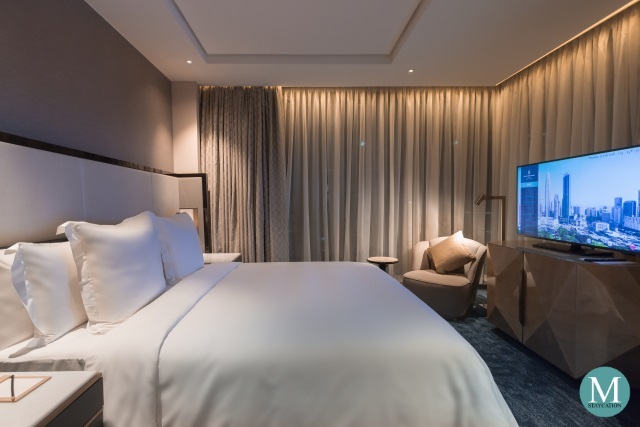 The bedroom also has its own 55-inch full HD television so guests can follow the news or watch their favorite shows at the comfort of their bed. Next to the glass window is a sofa chair with coffee table on the side. This chair is the perfect spot to relax while watching the view from the window. 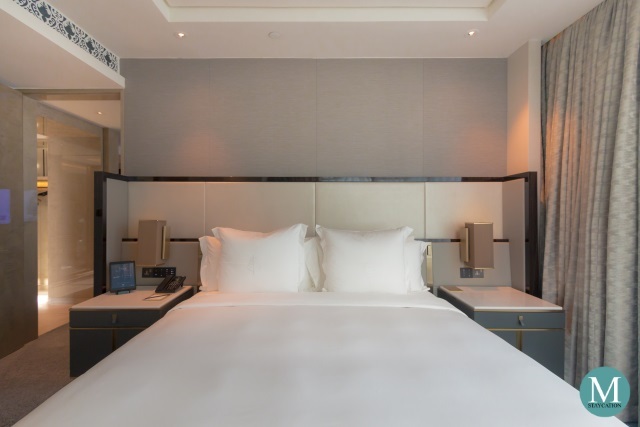 The highlight of the bedroom is nothing less than the signature Four Seasons bed which has the perfect firmness that equally supports body weight and coupled with a plush topper that adjusts to the curves of the body. Ensuring the best quality of sleep are the signature Four Seasons pillows. Controls to the lights and to the curtains are located on either side of the bed. There's also a power outlet next to the bed so guests can conveniently charge their phones or gadgets while sleeping. If you forget to bring a universal travel adapter, just call housekeeping and they will be happy to provide you with one. 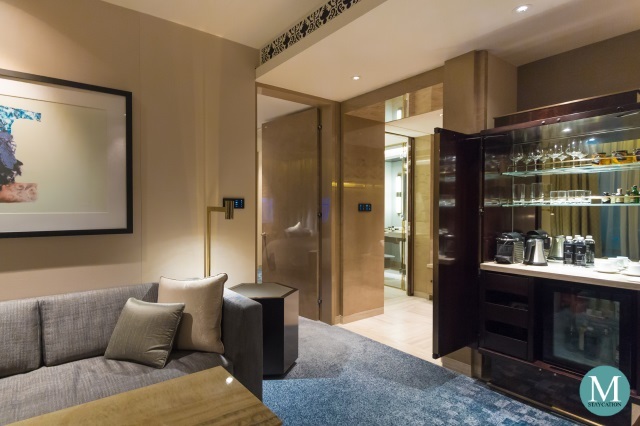 A cool feature of Four Seasons Hotel Kuala Lumpur are the iPads provided in each room and suite. 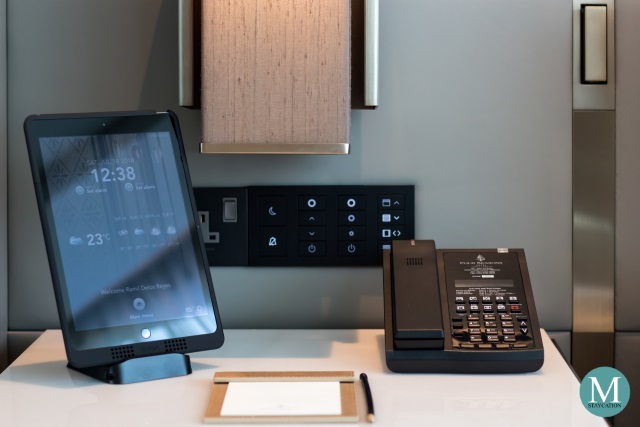 It allows the staying guests to reserve a table in the hotel's restaurants, order in-room dining, request for a wake-up call, and chat with the concierge. 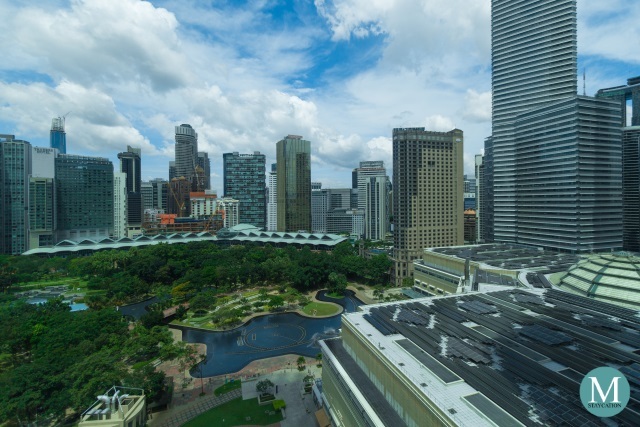 It also provides useful information about the weather and the tourist attractions in Kuala Lumpur. I recently traveled to Kuala Lumpur for a business meeting in one of the companies based in the Petronas Towers. I spent most of my first day preparing for my meeting and thanks to my excellent sleep experience, I felt really recharged come my meeting the next day. 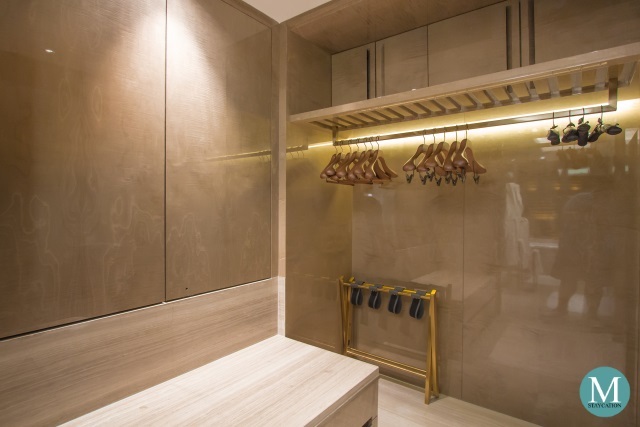 I particularly like the open layout of the closet. There are about twelve wooden hangers and five satin padded hangers provided, more than enough for a week-long stay. The iron and ironing board allowed me to press my clothes in the evening. The en-suite bathroom is conveniently accessible both from the closet area and from the bedroom. The bathroom features a single vanity, a separate water closet, a walk-in shower and a bathtub. The whole bathroom is covered with white wood grain marble making it feel bright and spacious. The walk-in shower is fitted with a handheld and a rainfall shower head. Water pressure was consistently strong. The bathtub is located next to the glass window overlooking Jalan Ampang. This side is facing west so you might want to relax in an indulgent bath while watching the sunset from here. 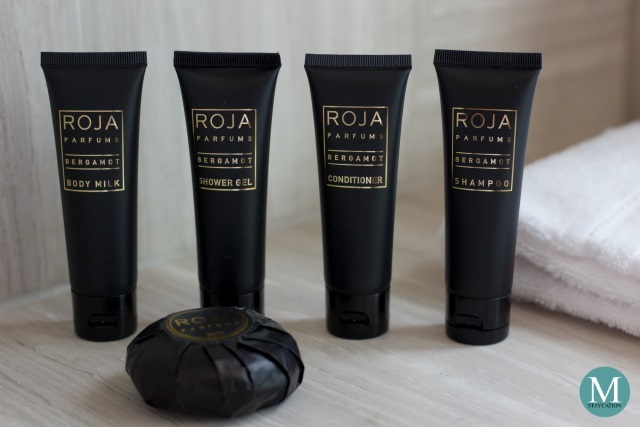 Guests staying in a Junior Suite are provided with body and bath amenities by Roja Parfums. The Bergamot fragrance by Roja Parfums has sun drenched scent of bergamot with light notes of jasmine and white musk. 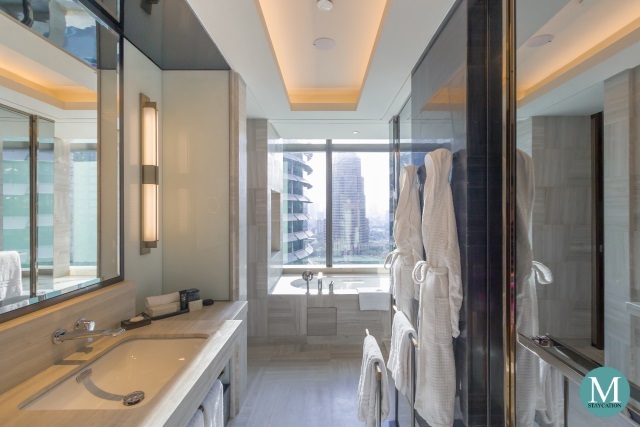 In addition to Four Seasons Hotel Kuala Lumpur, other Four Seasons properties that provide this body and bath amenities include Four Seasons Hotel Dubai International Financial Center and Four Seasons Hotel Lion Palace St. Petersburg. 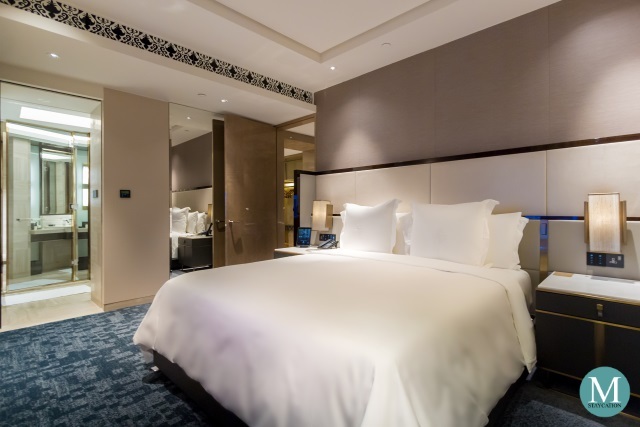 The Junior Suite at Four Seasons Hotel Kuala Lumpur is recommended for business travelers who require a little bit of extra space. The layout of the living area is straightforward with plenty of working space available. The Junior Suite is also ideal for small families on a holiday or staycation. The living area can be made more spacious by moving the nested table to the side. The bedroom is also spacious enough to accommodate an extra bed or a crib.